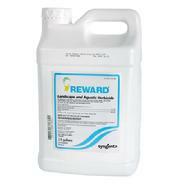 Labled as an aquatic and landscape herbicide. 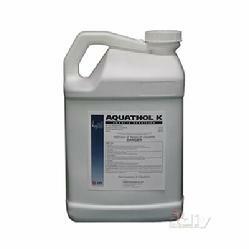 Kills a variety of grasses and broadleaf plants. Active ingredient is diquat. Good for a wide spectrum of rooted aquatic plants including various pondweeds, coontail, milfoil, and a whole lot more. Works great for spot treatments. Knock-down is quick, usually within 7 days. One gallon treats up to one surface acre of water. 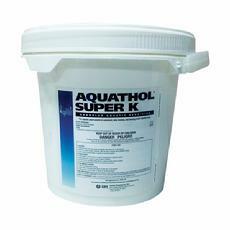 Sonar AS (liquid) is great for treating a wide spectrum of higher aquatic plants. Active ingredient is fluridone. One treatment provides season-long control but knock-down is slow; about 30 days. Whole lake treatment is recommended. Application rate is typically 1 qt/acre. Smaller sizes and Sonar Q (granular) available. Call for pricing. Non-selective and highly effective on more than 200 species of emerged weeds including a wide range of annual and perennial grasses, broadleaf weeds and sedges. Glyphosate, the active ingredient, has favorable environmental characteristics, such as degradation over time in soil, sediment, and natural waters, and tight binding to most soils and sediment, which reduces bioavailability soon after application. 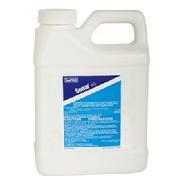 Most liquid herbicides require a surfactant for best results. 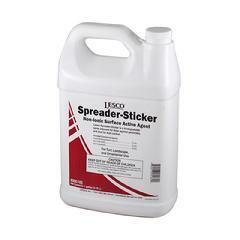 LESCO Spreader Sticker is a high flash, non-ionic, penetrating surfactant, which reduces off-target spray drift and reduces spray water pH. Selective contact control for submerged aquatic weeds. Carries no turf irrigation restrictions. For best results, use in water temperatures above 65°F. 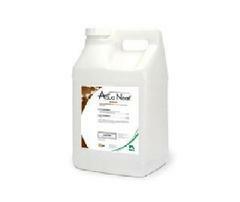 Apply 1 gallon per acre-foot for control of most plant species. Some water use restrictions apply. For spot & margin treatment of Hydrilla, Pondweed & Eurasian Watermilfoil. Apply at 2.2-22# per acre-foot. Do not use water from treated areas for irrigation or for domestic purposes for 7 days. Do not use fish from treated areas for food or feed for 3 days.